Hitting stores this week and featuring a cover and new images that promotes one of the most anticipated movies coming next year, Empire Magazine has spotlighted “Batman v Superman: Dawn of Justice” in their September issue, showing more sneak peeks of what’s to come when director Zack Snyder and Warner Bros. release this stellar follow-up to 2013’s “Man of Steel” that sees The Dark Knight going toe-to-toe with The Last Son of Krypton. 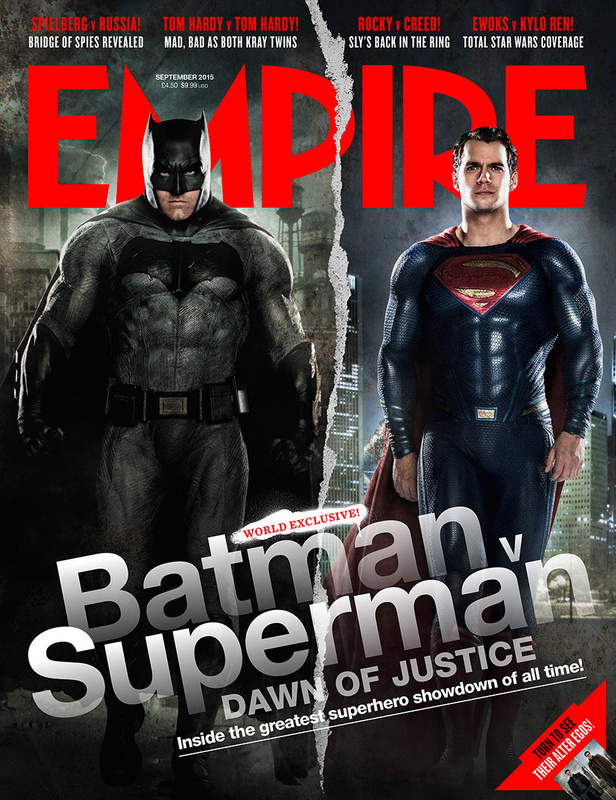 The new issue of Empire promises to be loaded with information and new pictures building up to the release of this next chapter of the DC Cinematic Universe, which introduces Superman together with Batman and Wonder Woman for the first time in film, as well as planting the seeds for the inevitable gathering of superheroes that make up the “Justice League”. 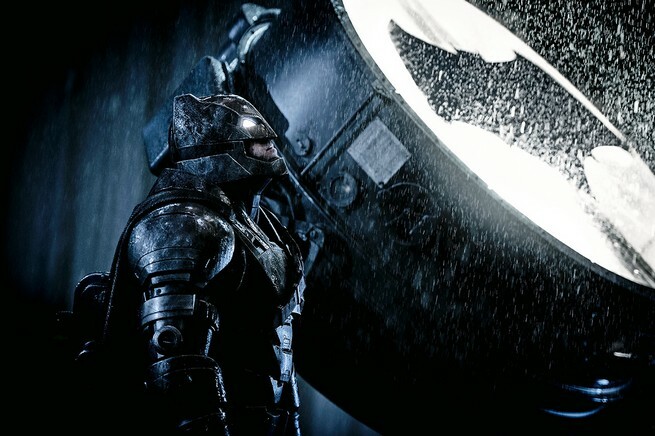 Also featured are some rather interesting promotional images from the film, which sees Ben Affleck as Batman all armored up and lighting up the Bat-Signal to get Superman’s attention. 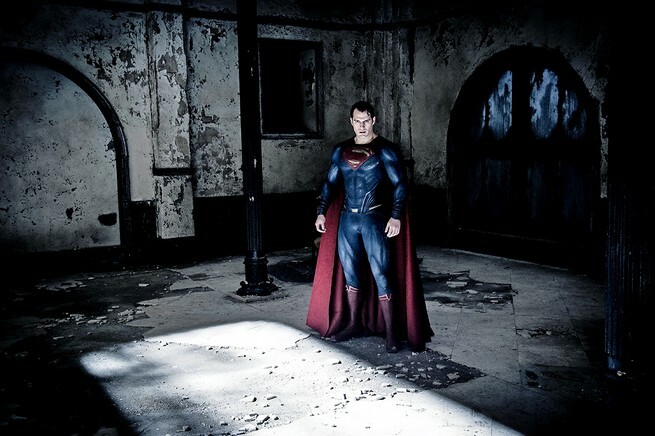 Henry Cavill on the other hand is pictured as Supes standing in a broken and abandoned place, which could possibly be Wayne Manor. 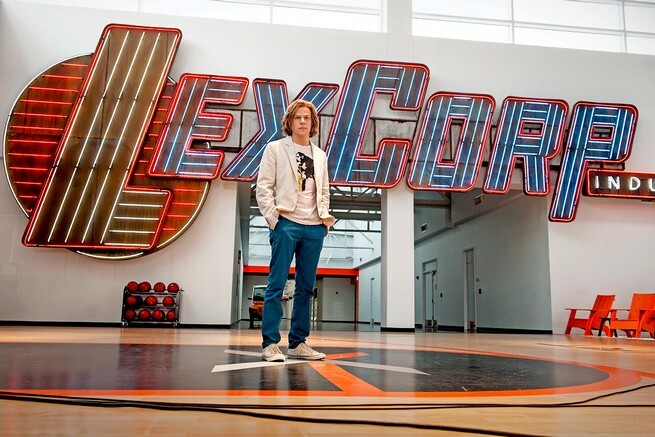 Finally, here’s a good look at Lex Luthor, as played by Jesse Eisenberg, standing in front of what looks to be a LexCorp Industries owned basketball court. Lex has hair in the movie… And his eventual baldness may be explained later on when the world finally sees the film next year.